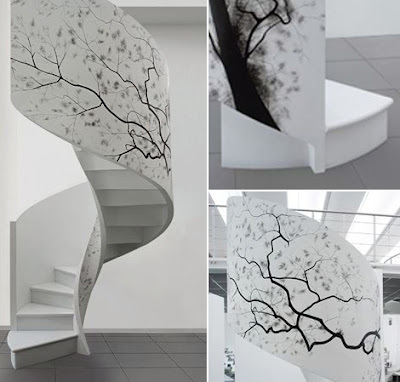 A staircase as an element of art is an amazing thing, and these decorative staircase design ideas from Edilco are nothing short of spectacular! 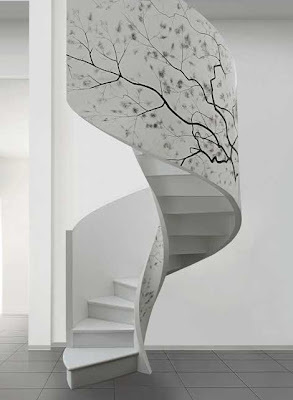 These contemporary staircases offer an unusual juxtaposition of opposites in their combination of cold cement and metal with warm wood, resulting in a wonderful complementary look. 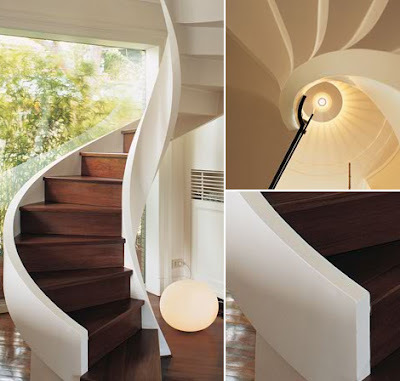 From the simple spiral staircase with wood treads, to modern riser-free designs and grand staircases adorned with decorative graphics, this tasteful collection ranges from Zen, to classic contemporary and totally avant-garde, with a style to suit every preference. 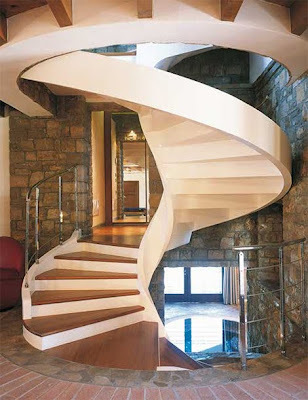 These staircase design ideas will fill you with inspiration for your own home. Take your classic staircase design from ordinary to extraordinary, and make a style statement that’s as individual as you are. 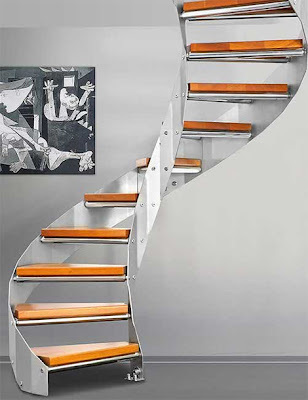 For endless design options, check out these staircase pictures from Edilco. 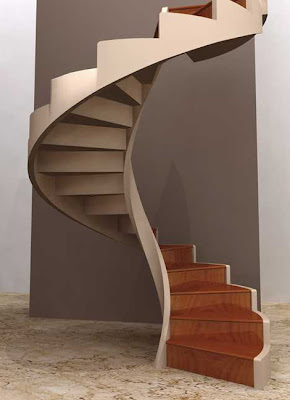 I like custom spiral stairs.